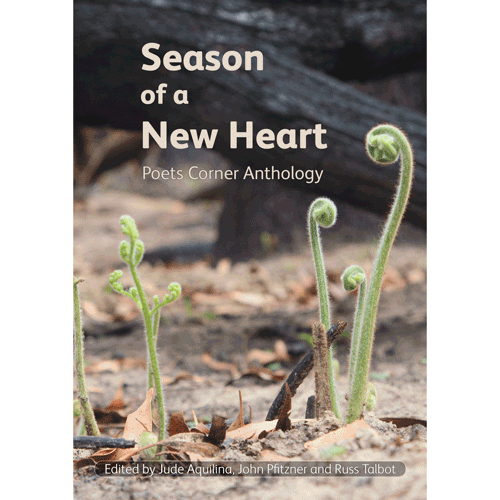 An anthology containing the work of thirty-six poets, some of them established poets with years of writing experience, others newcomers to this exacting craft. Since 2002 Poets Corner, part of the Effective Living Centre, Wayville, South Australia, has provided a forum for poetry lovers to hear local poets speak about and read their work, which in turn has stimulated people to write poetry themselves. Out of this celebration of metaphorical, creative language this anthology has emerged. It contains the work of thirty-six poets, some of them established poets with years of writing experience, others newcomers to this exacting craft. life emerges out of the desolation.